Carbon slip on for Adventure Bikes. 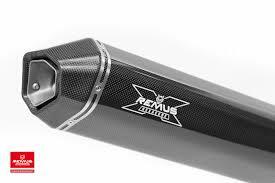 Remus is a great quality pipe. It will increase the sound and power of you bike. There are various designs within the Carbon range. So please call for a quote on your motorcycle model. Titanium slip on for Adventure Bikes. Remus is a great quality pipe. It will increase the sound and power of you bike. There are various designs within the Titanium range. So please call for a quote on your motorcycle model.